"... AWESOME! I use it during my workout and really find it to give me a good boost. Switched over from Xtend and so far so good. Pre I use Scream from Platinum and post-workout I use Torrent from Universal. Good combination and I can really see progress from week to week. A+"
Finally after years of research, studies and proven results - Chain Drive is ready to launch! 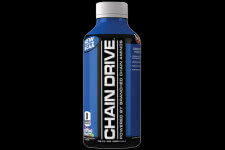 VPX has taken the amino acids category and flipped it upside down with their latest addition, Chain Drive! First and foremost, what makes this product unique and superior over other brands is that fact that it comes in a RTD (Ready-to-Drink) format so there are no messy powder or pills to swallow. 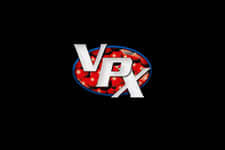 Convenience is where it's at and VPX has made it as simple as possible to feed and fuel your muscles with exactly what they require. With 10,000mg of high quality branch chain amino acids per drink, it's enough to promote better growth and recovery. You will automatically improve your levels of protein synthesis as well as the muscle sparing effect. In addition, there is a blend of energy and electrolytes to help power your mind and body for any workout or activity ahead. Explore the world of L-Leucine, L-Valine, L-Isoleucine and Beta Alanine how they were meant to be.